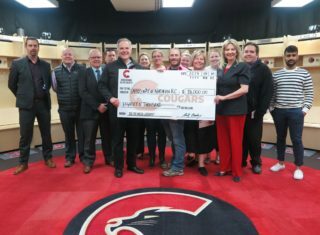 The Prince George Cougars wrap-up their 2018 pre-season schedule tonight against the Kamloops Blazers at the CN Centre. The Cougars are 3-1-0-0 in four pre-season games and are winners of three-straight coming into tonight’s rematch with the Blazers. Kamloops is also 3-1-0-0 through four pre-season games and have won back-to-back games. The Blazers did get the better of the Cougars, 5-0, in both teams pre-season opener on August 31st. Prince George is coming of two wins in Langley last weekend, beating Vancouver 7-3 Saturday, and Victoria 3-2 on Sunday. 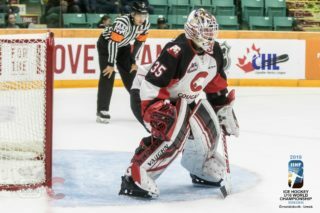 The Cougars also picked up a 4-2 win over Kelowna on September 1st. Their only blemish is that loss to Kamloops. The Blazers come into Prince George winning back-to-back games as mentioned, including downing the Rockets 5-3 last Saturday in Kelowna. The Blazers open up the season at home against the Rockets next Friday. The Cougars welcome a new face into the line-up in Mike MacLean. 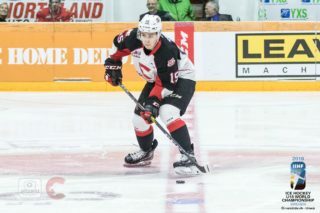 The 20-year-old right-winger was acquired from the Seattle Thunderbirds earlier this week, along with prospect Sam Schoenfeld and a conditional Bantam Draft pick. The 6’7, 234-pound forward will likely make his debut tonight and will be wearing number 23. Prince George also has another line up reinforcement in defenceman Joel Lakusta. The rear-guard has returned from Traverse City, Michigan, where he was playing for the St. Louis Blues in the 20th annual Traverse City Rookie Tournament. Tonight will be Lakusta’s first and only pre-season game. The Cougars will be without forward Jackson Leppard who’s at the Tampa Bay Lightning’s training camp. Kamloops will be missing three veterans, as they’re at NHL Camps as well. 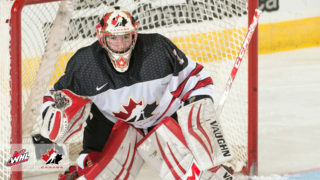 20-year-old goaltender Dylan Ferguson is in camp with the Vegas Golden Knights. Defenceman Montana Onyebuchi is with Leppard in Tampa Bay and forward Jermaine Loewen is with the Dallas Stars.